The Synthes TFN course was one of several courses made for Synthes. 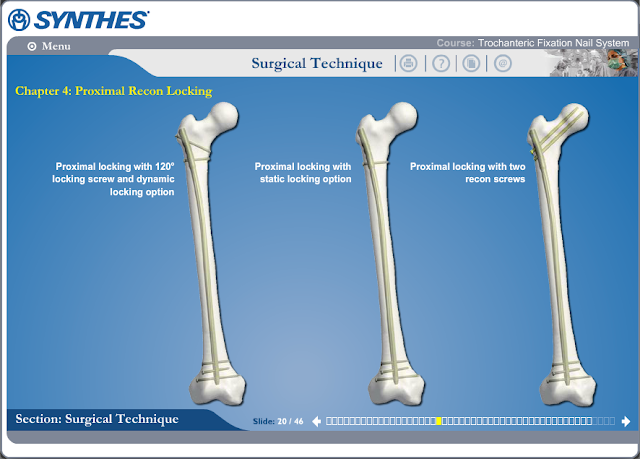 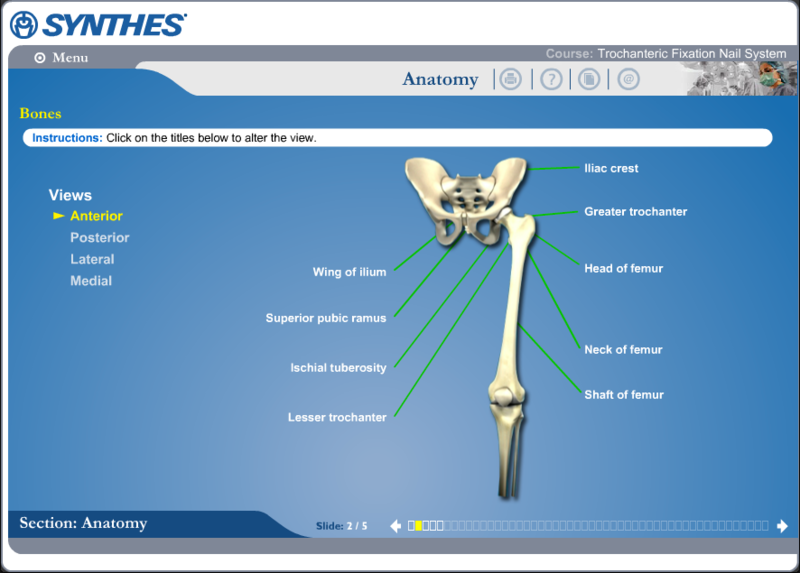 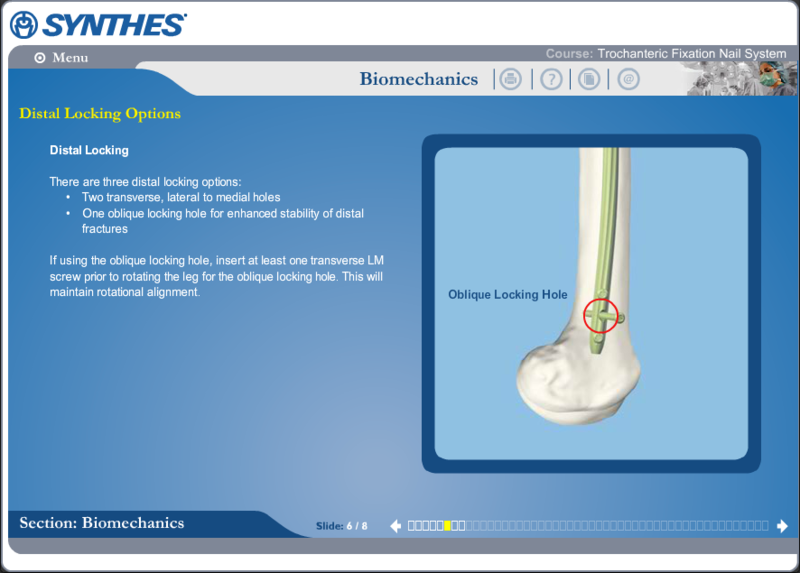 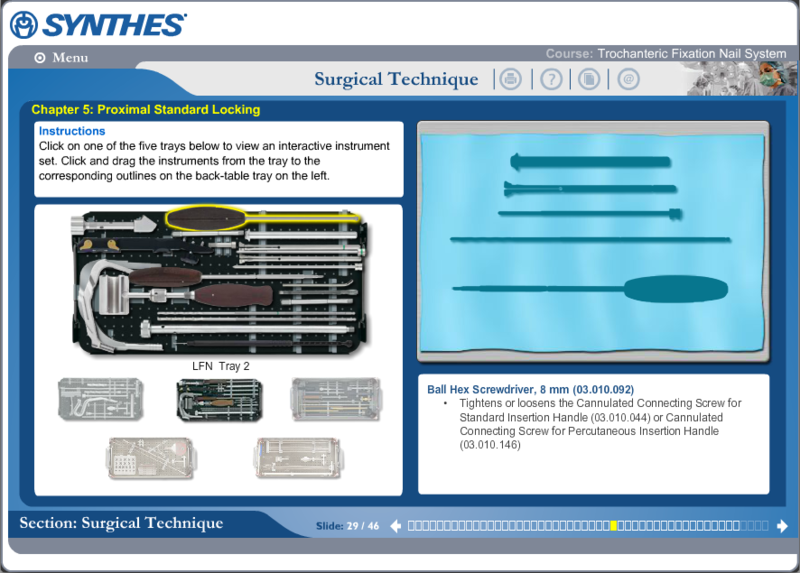 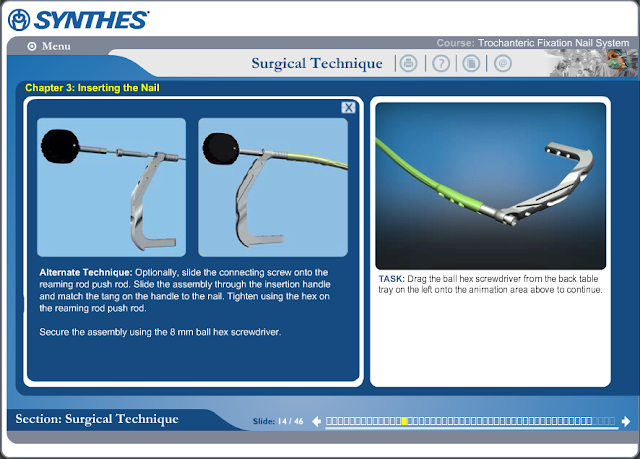 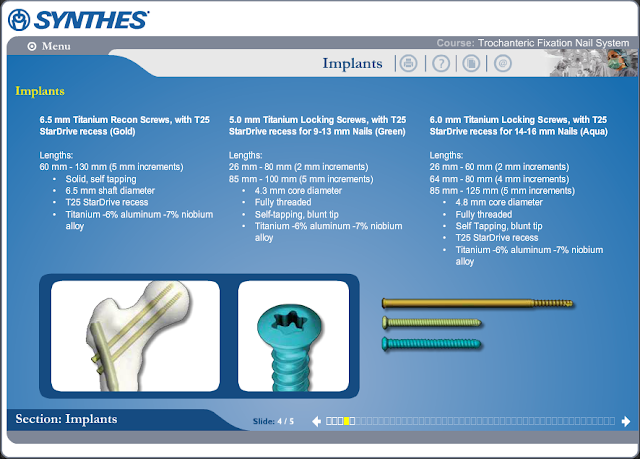 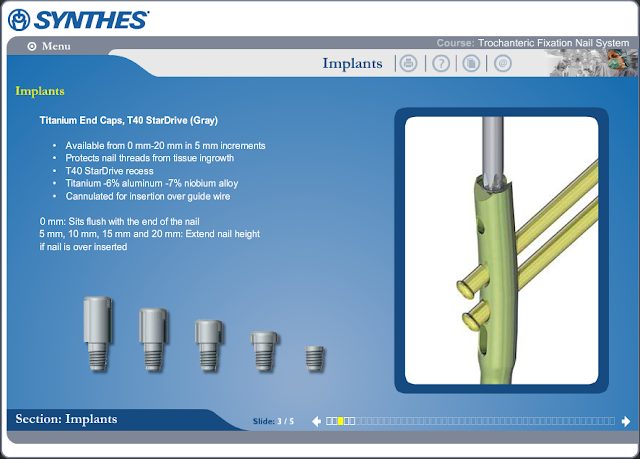 Synthes is a medical device company and these courses were used as training on the use of their devices used to secure bone fractures. 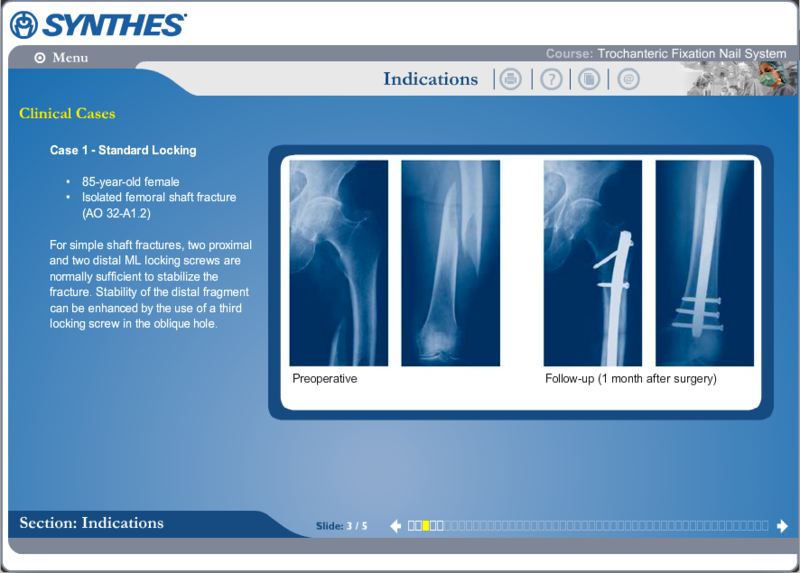 These devices are specific to the area needing to be secured. These were built in Flash utilizing XML. These courses were built at Interact Medical. 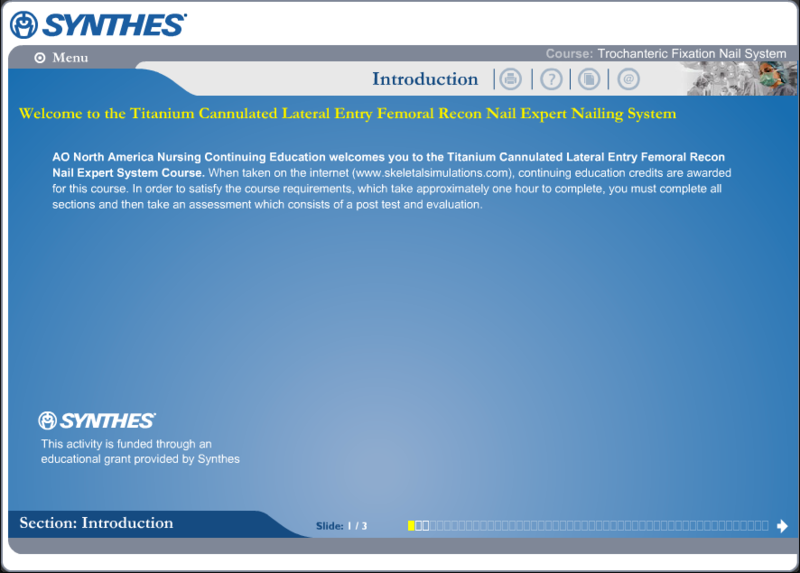 This course also won a Gold Award at the 2006 MMA In-Awe Awards. 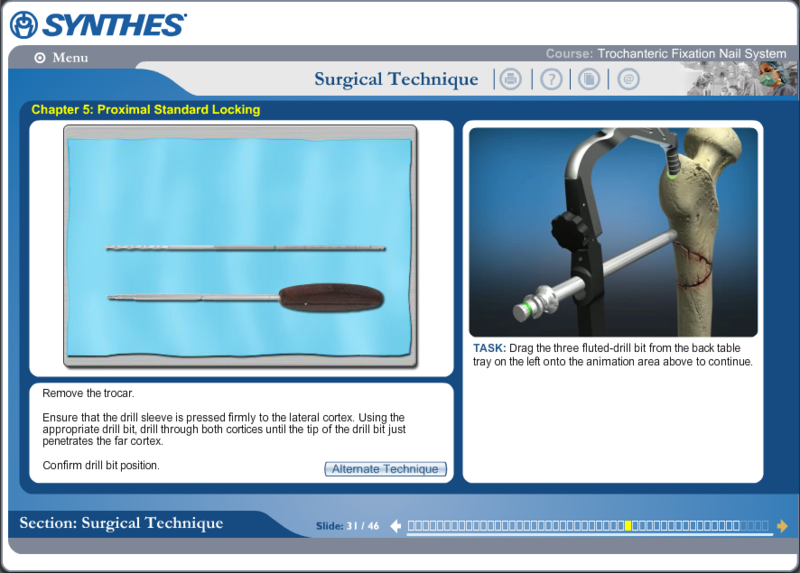 Throughout the course the user had to identify and select the proper tools during an interactive walk-though of the procedure. 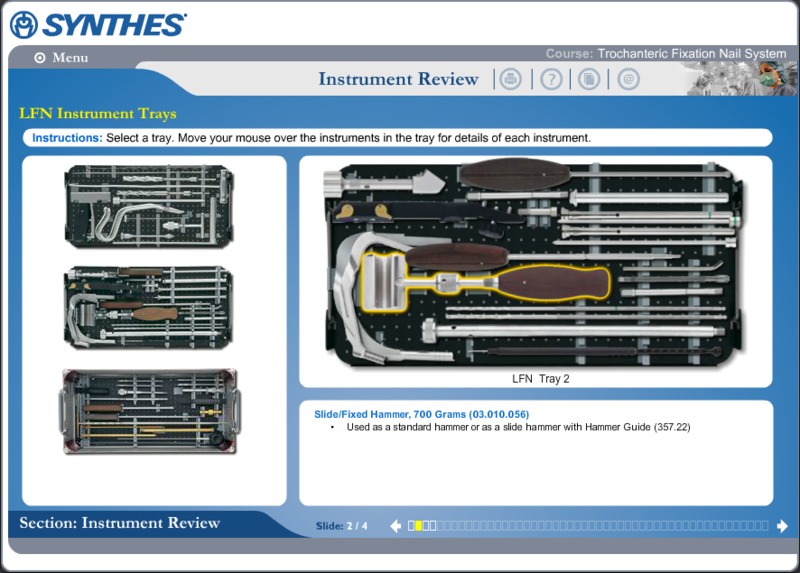 The also needed to determine correct placement and positioning of the various instruments.